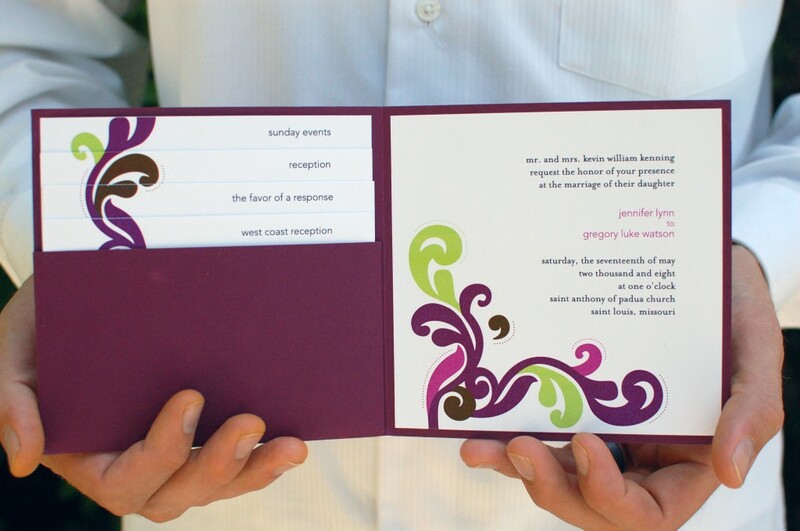 Back when Greg and I were planning our wedding (and crazy), we decided to save the extra $2 per invitation and make 175 pockets from scrapbook paper… ourselves. Pre-made sets didn’t come in the color we wanted and we’re all for cutting corners (and corners and more corners). The time-consuming part of this project is cutting all the little flaps and gaps so it folds up perfectly, rather than bulging and looking homemade. 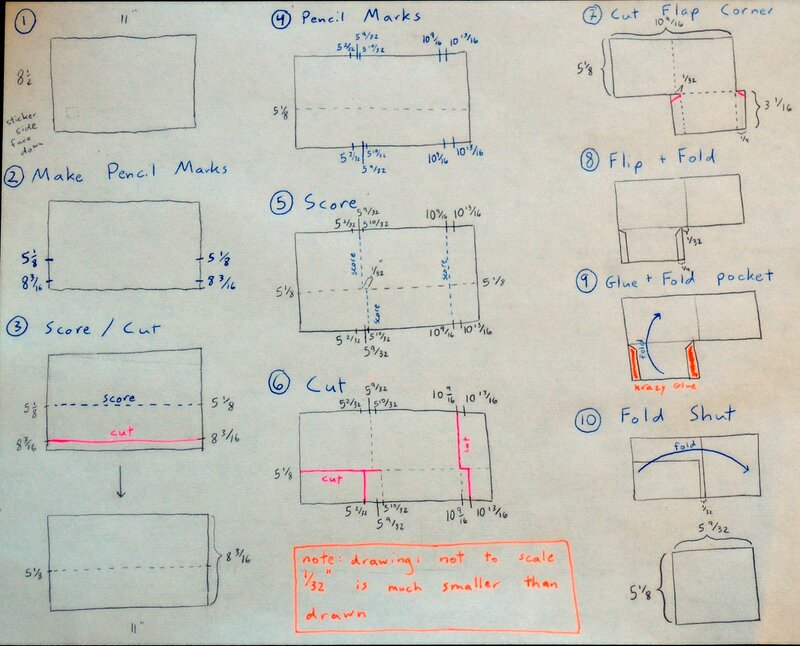 Just in case you’re also feeling crazy, here’s a copy of my husband’s diagram for cutting down 8.5×11″ sheets of scrapbook paper. 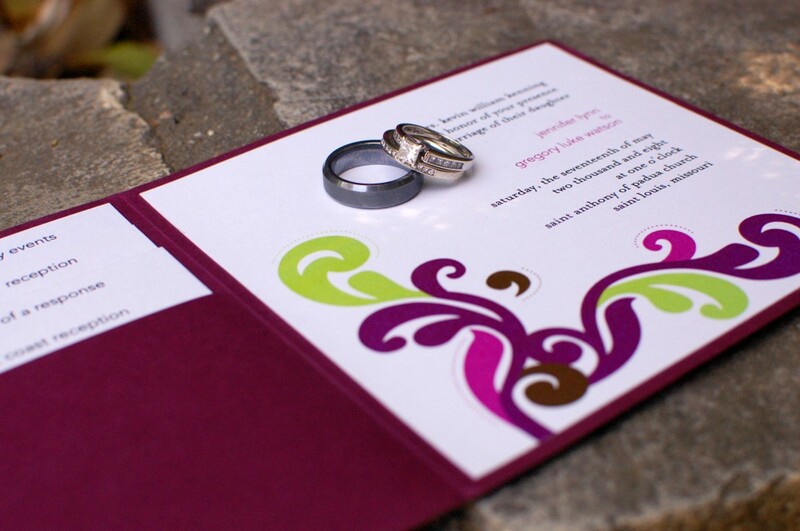 We then used spray glue to mount the invitations on the right and tucked the rest of the info in those hard-earned pockets.